Does the Inverted Yield Curve Indicate an Imminent Recession? Much ink has spilled over the past few months regarding the potential for and the implications of an inversion of the yield curve. An inverted curve is when short-term interest rates are higher than long-term rates. This week we actually saw the 3-year vs. 5-year invert which sent prognosticators into overdrive with predictions the economy is heading towards recession sooner than later and sending stocks back in a nose dive. The reason for all the pessimism is because nine of the last 11 recessions have been preceded by an inverted yield curve. Indeed, 3-year Treasury notes turned higher than 5-year rates for the first time since the dawn of the 2007 U.S. recession. 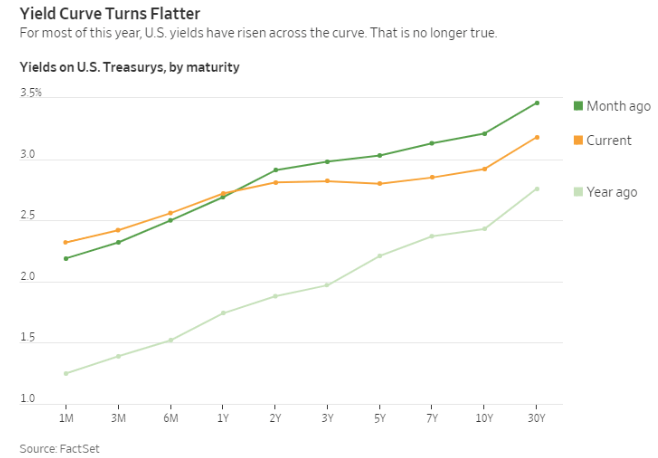 But before we start to panic, it should be noted that when most market-watchers and economists warn about inverted yield curves— more specifically, the 10-year and two-year note. While the spread on the 2 vs. 10 is down a slim 11 basis points, the narrowest since 2005, it has not yet inverted. 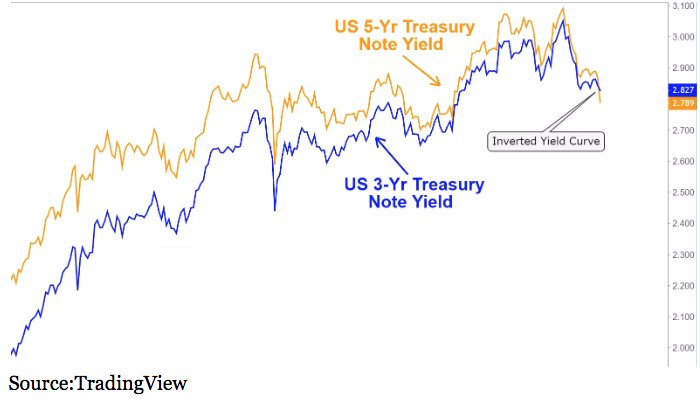 In fact, many economists and The Fed itself doesn’t consider a true yield inversion to have occurred until the three-month bill crosses above a 10-Year note. The graph below shows how the curve, over various maturities, has flattened from a year ago. Based on the current 10-year minus 3-month yield spread of 33 basis points, the probability of a recession over the next year — at roughly 15% — higher than the past few years. But, still relatively low. Also, while the inversion has indeed preceded recessions on most occasions it is not a fail-safe predictor or even necessary requirement. 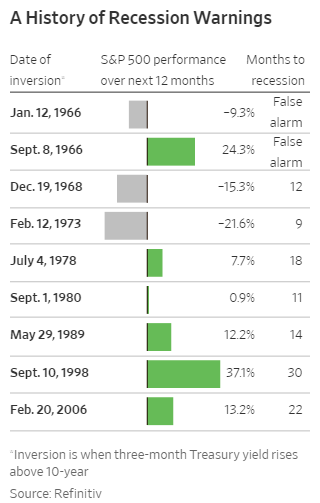 Not only have there been to “false flags,” but also six recessions without an inversion. 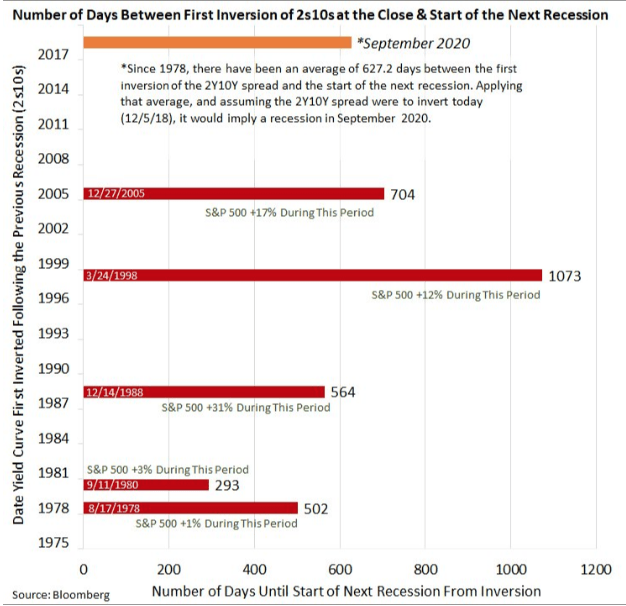 It should also be noted that the timing from inversion until the onset of a recession, usually considered two consecutive quarters of negative GDP, can vary widely. While the average is 14 months, suggesting September 2020 for a downturn, the range has been from as short as eight months and as long as 3 years. Furthermore, this not say that stocks can’t resume the rally. Surprisingly, following a yield curve inversion, the stock market has continued to gain until after such an event, and has peaked much late. This is after providing a roughly 21% return on average over the following 12 months. Why does the inversion predict economic slowdown? 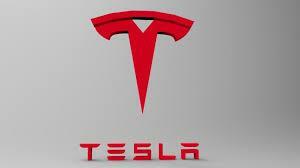 The thinking goes, as we enter the late stage of the economic cycle that recent signs such as a slowdown in housing, auto sales, the decline in oil, copper prices and overall slowing global growth would warrant low long-term rates as investors choose the safety of bonds over investing in expansion. One big difference between now and past inversions is that rates are still historically low. The 2006 inversion saw that — the 10-year yielding over 6.5% compared to the current 4% meaning even a slight inversion — doesn’t create a huge change in the cost of money. That said, even at low levels, a major implication of an inverted yield curve is that lenders would be better off lending for the short term rather than for the long-term, as short-term rates become more attractive than long-term rates. 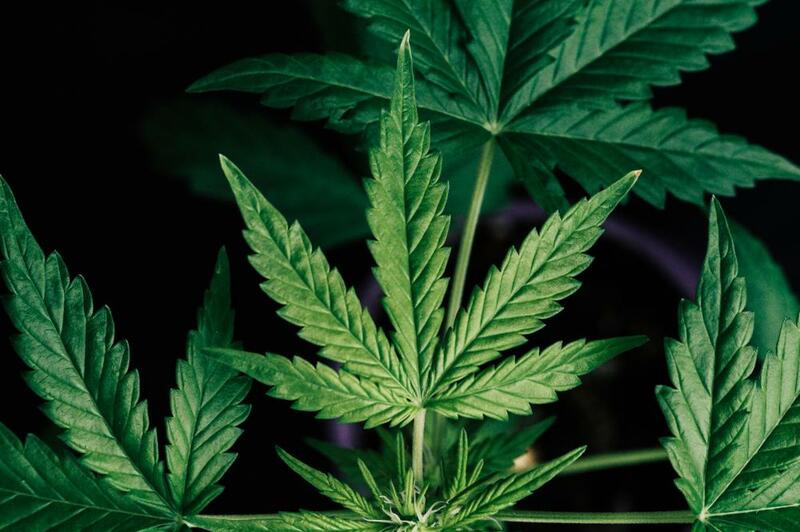 This causes a shift in capital allocation as businesses with long-term funding requirements find it difficult to secure funds for capital expenditures. This is why many people feel that The Fed’s about to make a mistake by raising interest rates too much and it may actually hasten a recession by choking off access to financing that would be constructively invested in the economy. The next FOMC meeting and decision on interest rates is on Dec. 18. Investors are waiting and hoping that they will back off their path of rising rates.